Everyone, including me is gearing up for the highly anticipated release of 'Avengers Endgame' and this evening(April 10th) in London, Scarlett Jonhansson was on hand for the Fan Event at Picturehouse Central. 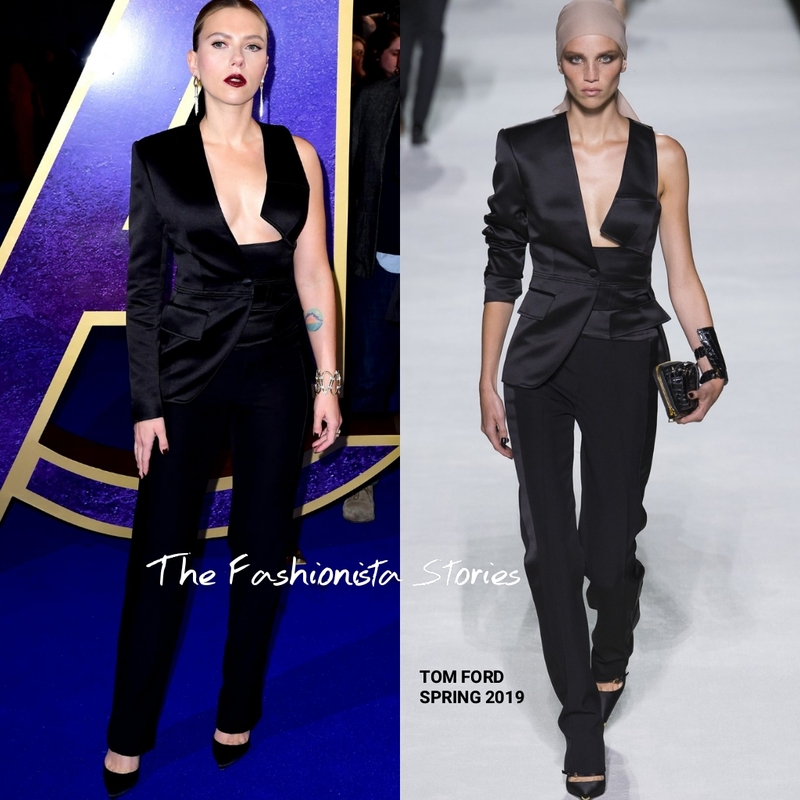 Stepping out in a unique take on the power suit, she wore a TOM FORD SPRING 2019 black tuxedo jumpsuit, featuring a satin partial cutout, sleeveless top & jacket and crepe tuxedo trousers. She vamped up her look with an dark red lip color, which added the edgy, sultry appeal of her look. I wish the pants were a bit more tapered at the leg & hem but I still like this look. NIKOS KOULIS earrings and a slick, center part up-do rounded out her look.